This eye-catching frame is crafted from poly-resin and is hand finished in a brushed white color with antique silver accents. It features a raised geometric pyramid motif that creates depth and texture. The frame holds a vertical 5 x 7 photo. 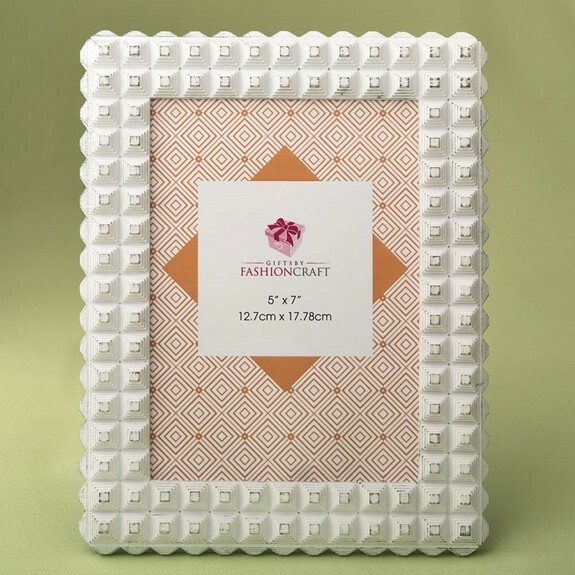 Each frame may double as a table number and comes packaged in a white box.